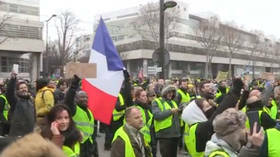 Dozens of Yellow Vest protesters have descended on the headquarters of France’s BFMTV channel accusing the station of broadcasting “fake news” and calling for the resignation of President Emmanuel Macron. 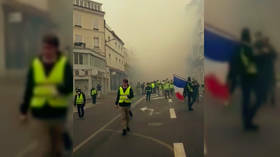 French police have deployed tear gas in a bid to quell Yellow Vest protesters in a tense stand-off in the city of Rouen in Normandy. 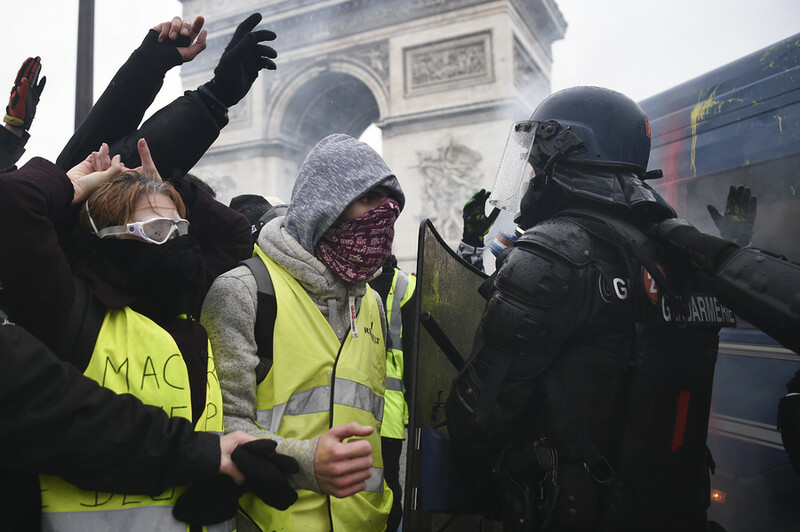 French president Emmanuel Macron just can’t get away from Yellow Vest protesters. The anti-government demonstrators have even turned up outside his presidential hideaway on the Mediterranean coast. 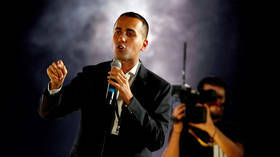 French President Emmanuel Macron’s former aide Alexandre Benalla has been traveling on a diplomatic passport for several months, said to have been issued weeks after he sparked scandal when he was caught beating a protester. 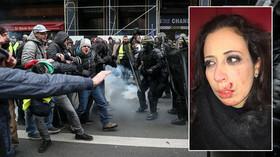 An RT France reporter has been hit in the face during Yellow Vest protests in Paris. She has been taken to a nearby hospital. 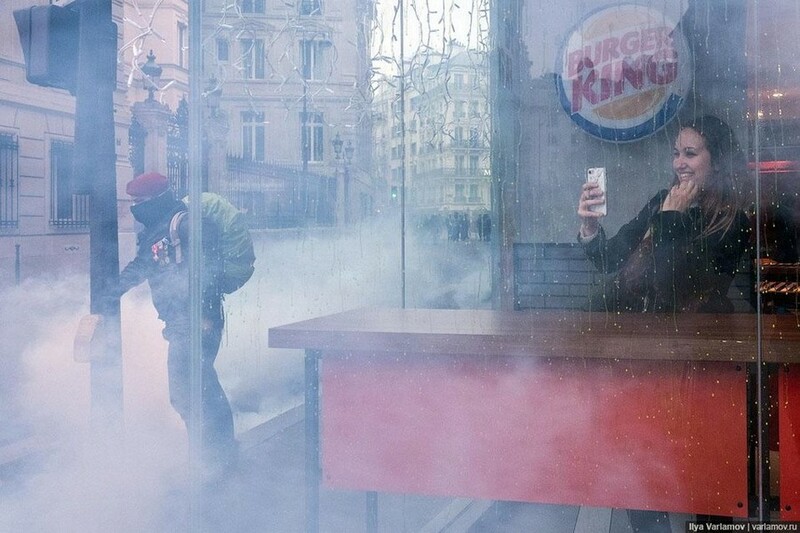 As “urban warfare” grips the streets of Paris a photograph of a woman in a Burger King, who is incongruously grinning from ear to ear while tear gas swirls outside, is being hailed as the perfect encapsulation of modern times. 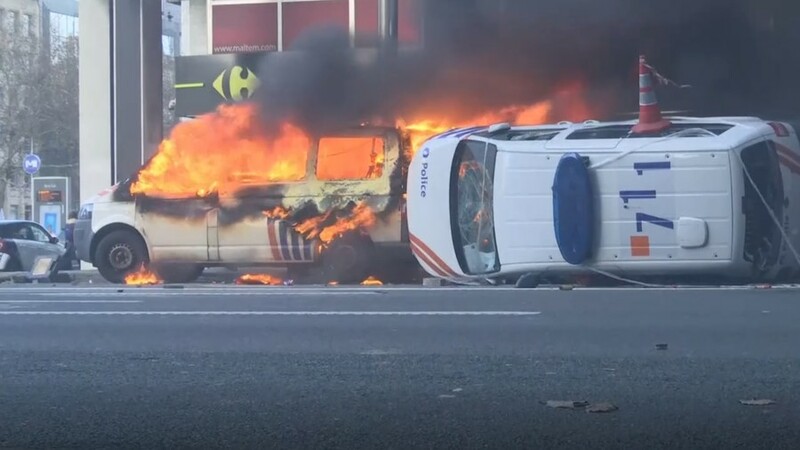 The French president’s proposed fuel tax is just as unpopular with police as it is with ordinary citizens, and they feel uneasy having to suppress ‘Gilets Jaunes’ protests that “in their heart” they back, their union chief says.